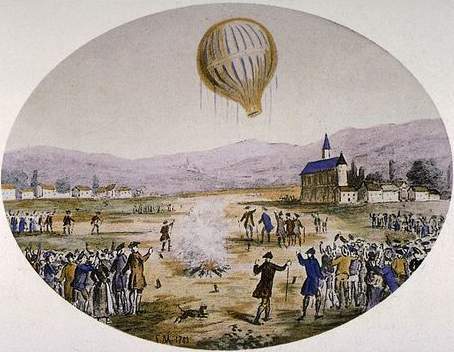 Soufflé, ‘Le Beauvilliers’ Restaurant 1782 Paris, Hot Air Balloons and the Montgolfier brothers. 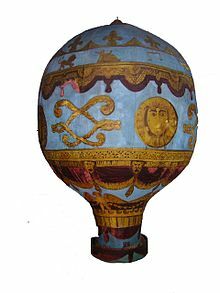 The first hot air balloon was created on December 14, 1782 by the Montgolfier brothers, shortly after a visit to Restaurants ‘Le Beauvilliers’ in Paris. 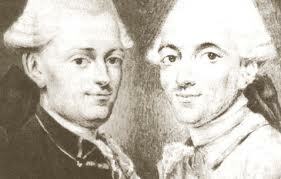 The Montgolfier’s, while enjoying their dish of ” Soufflé du jour” noticed that the baked, fluffy, light, airy dish was puffed up by expending hot air bubbles trapped in egg protein of the whisked eggs in the mixture. Soon they borrowed the idea to heat up air in a large balloon shaped envelope that would expand fill up with hot gas and pick up their balloon and the basket attached to it up in the air. This is not really how things happened but you must admit it is a nice story (the “connection” was inevitable). 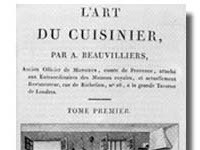 During the time Political changes and persecutions that made Antoine Beauvilliers leave his beloved trade, he composed, one of the best works known in the culinary arts, the famous, 2 volumes cookbook: the “Art du Cuisinier”, published in 1814; This cookbook was translates into English under the title of The Art of French Cookery, in London, in 1825. Antoine Beauvilliers, (1754-1817), is buried in Père-Lachaise cemetery in Paris possibly near Jim Morrison’s grave?? 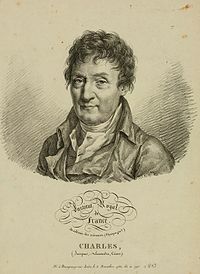 The physical law that explains the rising of souffle as it is baked was described a few decades after its “invention”, also by the French scientist and balloonist, J.A.C. Charles. It describes how gases tend to expand when heated. Charles’s law says that: the volume occupied by a given weight of gas is proportional to its temperature. If you heat air into a balloon the balloon expands (fills up with more air), and lifts up. So if you put a soufflé mixture in the oven the air bubbles trapped in the mixture will heat up, swell, and expand out beyond the top of the dish. Since there is also evaporation of water from the whisked egg bubble walls inwards, the bubbles expand even more when they reach the boiling point and turn into gas, as more liquid water becomes gas, the quantity of gas in the bubbles increases applying pressure on the bubble walls, which causes the bubbles to expand even more, thus our Soufflé rises more and more. 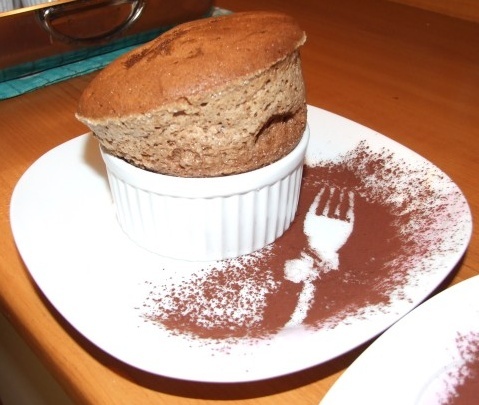 If the Soufflé bubbles cool, the air they contain contracts in volume, the vapor condenses to form heavy drops of water and the Soufflé falls, but only as it begins to cool. So Soufflé’s tend to “fall” as they cool down which is why they have to be served immediately from the oven. Last New Year’s Eve I made a wonderful soufflé: soufflé of French goat cheeses and fresh porcini mushrooms, as one of the dishes that comprised the meal as described in one of my early posts: https://wine4soul.com/2012/05/08/a-new-years-eve-dinner-2/, a few days later, my friend Shaul Evron, after looking at the photos, as I was describing to him the meal, surprised me in saying: “I really miss souffle’s I have not had one in ages”. I’ll make you some I replied, they are real easy to make and I get them right each time. He said “maybe you should come one day to Yoezer and make some with the kitchen stuff”. They were not enthusiastic about the idea cause it would engage one of the ovens at all times, just for that dish, in case Shaul would decide he would like one on the menu. So the idea was “kept on ice” for the time being and now Shaul is gone… and this post is dedicated to HIM. 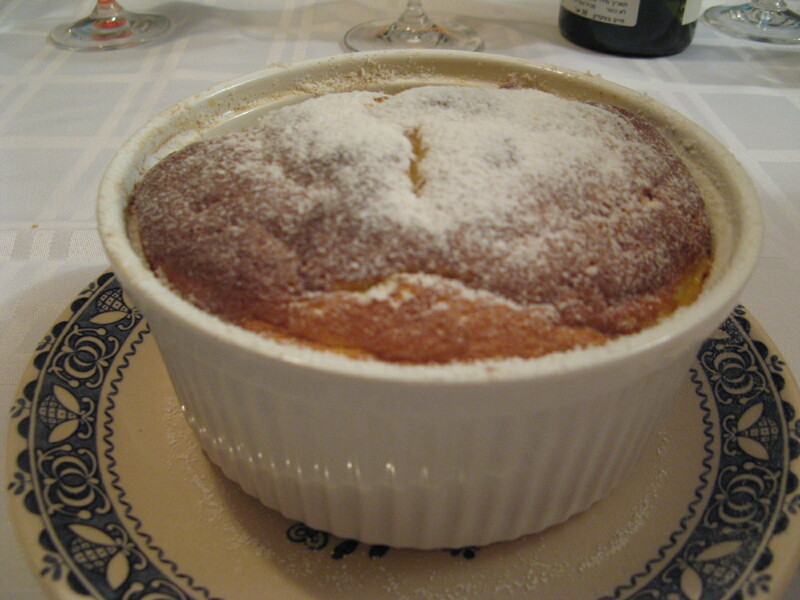 A soufflé is a light, fluffy, baked preparation made basically with a good Béchamel sauce, egg yolks combined with other ingredients that give it the specific flavor, fluffed with stiff beaten/whisked egg whites, baked in a special dish and served directly from the Oven while it is still well risen above the rim of the Soufflé dish. It can be as a savory starter, main dish or sweetened as a dessert. 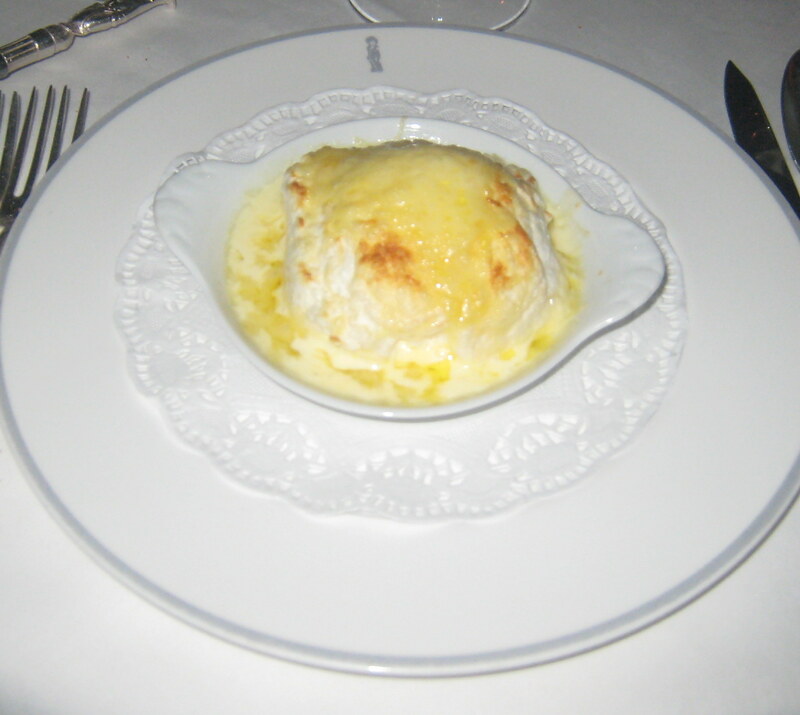 The word soufflé is the past participle of the French verb souffler which means “to blow up” or more loosely “puff up” which is exactly what happens to this combination of custard/ Béchamel and egg whites. 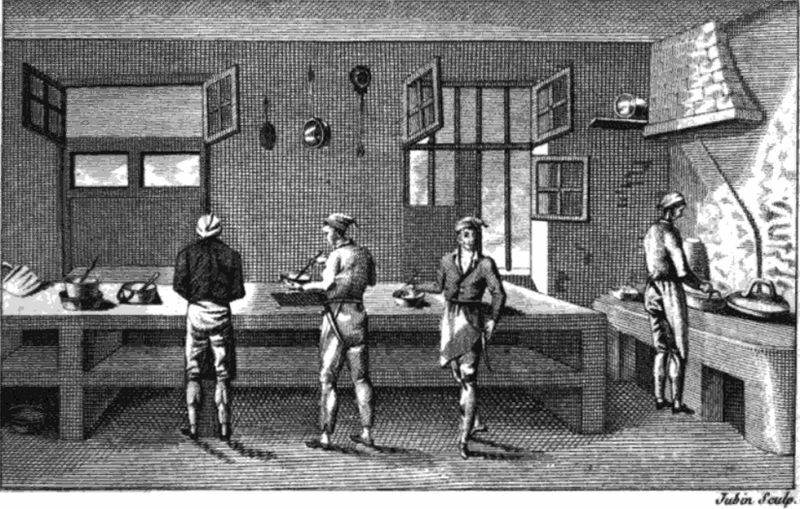 Beauvilliers was making soufflés, possibly as early as 1782 (though he did not publish his L’Art du cusinier until 1814). 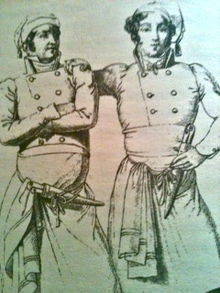 Mentions of recipes for various kinds of soufflé appear in Louis Ude’s (a French Cook) cookbook 1813, and later, in 1841, Careme’s Patissier Royal Parisien, goes into great detail on the technique of making s soufflé, which acquired an undeserved reputation for being difficult to prepare and deserving special care and “silence” in the kitchen while making it, (from: Oxford Compantion to Food, Alan Davidson [Oxford University Press:Oxford] 1999 (p.735). The traditional dish to make soufflé in is a ramekin. 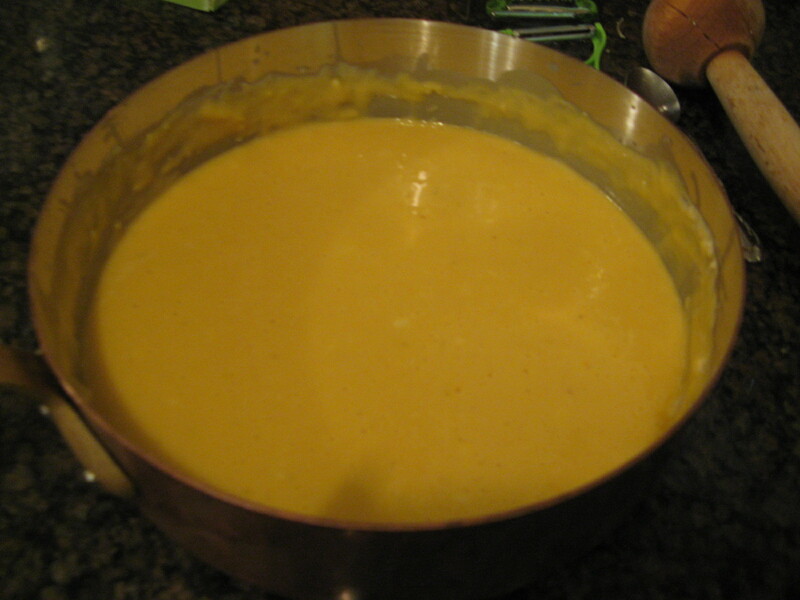 Melt butter in a medium saucepan over medium-high heat until foaming. Add flour. 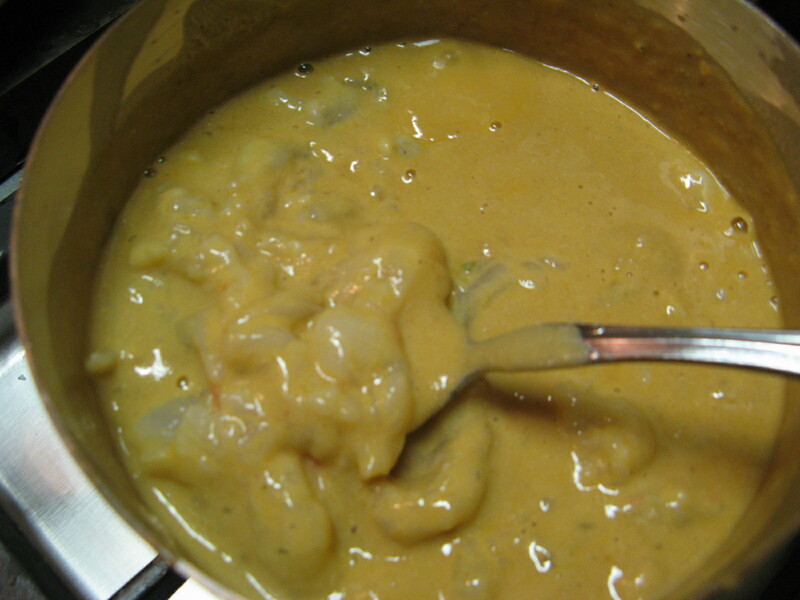 Mix well into a smooth paste constantly stirring, about 1 minute over low heat, until slightly bubbling. Remove from heat!!. Slowly add milk, whisking constantly, until mixture is smooth. Return to heat. Cook, stirring with a spoon or whisk, until the sauce starts to the boil, starts to thicken and coats the back of a wooden spoon. Remove from heat. (You don’t want it too thick keep it nice and cearmy). Stir in parmesan, salt and nutmeg, set aside to cool. Now comes the flavouring part, of turning the Béchamel and turn it to the “soufflé base”, for cheese and mushroom soufflé, fry a few shallots and several kinds of mushrooms, fresh thyme, oregano, salt and pepper, add to the Béchamel sauce , mix well and add to the mixture 4 egg yolks, keep aside, next fold in the whisked 4-5 egg whites (the heavier the base you will require more egg whites to fluff it up, when you fold the egg whites in keep some “islands” of pure egg whites whisk in the mix). start with about a third of the beaten stiff egg whites to lighten up the flavoured Béchamel sauce than add the rest by carefully folding in the rest. One last tip all ramekins have to be well oiled/buttered and than dusted either with Parmesan cheese or fine bread crumbs or a mixture of both and for sweet soufflé granulated sugar, all are good for making the inner side of the ramekin coarse and rough enough to ease the soufflé in climbing up and beyond the rim without “slipping down”. Larousse Gastronomique lists a long list of both savoury and sweet soufflé, any flavourings of the base for savoury goes, from brain soufflé, cheese, liver, crab, langoustine, fish, game or any poultry, any vegetable : potato, endive, asparagus, tomato, spinach mushrooms, truffles (“à la Royale”) cheese of all kinds be creative but keep the combinations in context with each other, don’t just mix ingredients off your sleeve ! Heat the oven to 200ºC/gas 6. Melt the butter in a thick-based saucepan, whisk in the flour and cook, stirring continuously, for about 1 minute. Whisk in the milk and boil for 3 minutes, whisking all the time to prevent any lumps from forming. Beat in the yolks and remove from the heat, and season with salt and pepper. Cover with a piece of buttered greaseproof paper to prevent a skin from forming. Whisk the egg whites with a pinch of salt until they form firm, not stiff, peaks. Add a third of the egg whites to the yolk mixture and beat with a whisk until evenly mixed, then gently fold in the remaining egg whites. Spoon the mixture into four well-buttered 8cm-diameter tartlet moulds and place in the oven for 3 minutes, until the tops begin to turn golden. 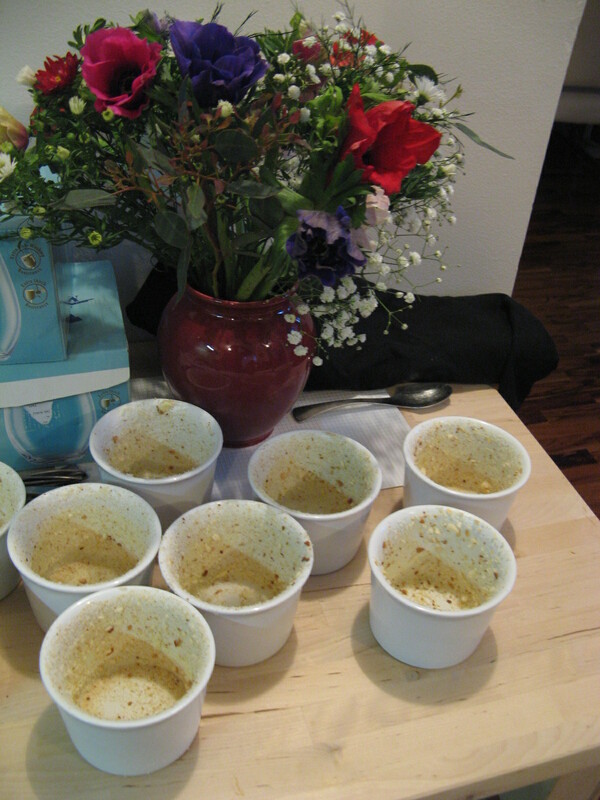 Meanwhile, season the cream with a little salt, warm it gently and pour into a gratin dish. Turn the soufflés out into the cream, sprinkle the grated cheese over the soufflés, and then return to the oven for another 5 minutes. Serve immediately. 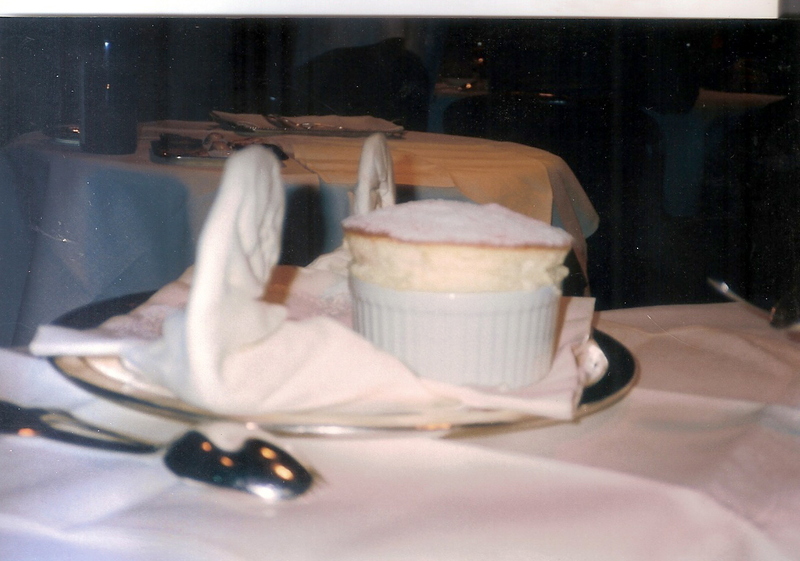 Fredy Girardet’s passionfruit soufflé– In my book, the most delicate and the lightest ever soufflé, sublime! 1. Whisk the yolks furiously with half the sugar, added bit by bit, until the mix thickens, then becomes light and fluffy and lighter in colour. Incorporate as much air as you can into the yolks. You can’t have too much air, the more the merrier with any soufflé. 2. Whisk 4 egg whites with the remaining half of the sugar until you reach a soft but firm peaks consistency. 3. Lightly butter individual soufflé bowls- ramekins and coat the buttered container with granulated sugar, just the amount that sticks to the oily surface. 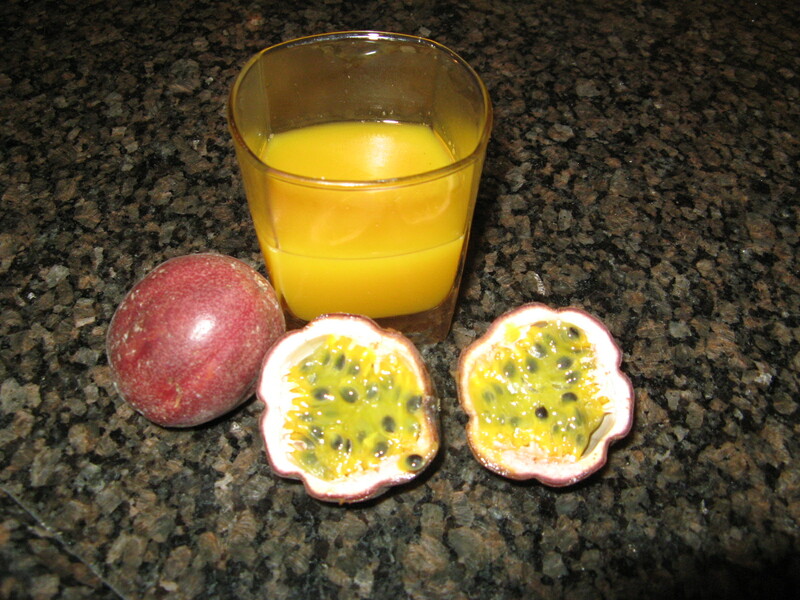 Pour 1 tea spoon of passion fruit juice into the bottom of each of the buttered bowls. 4. 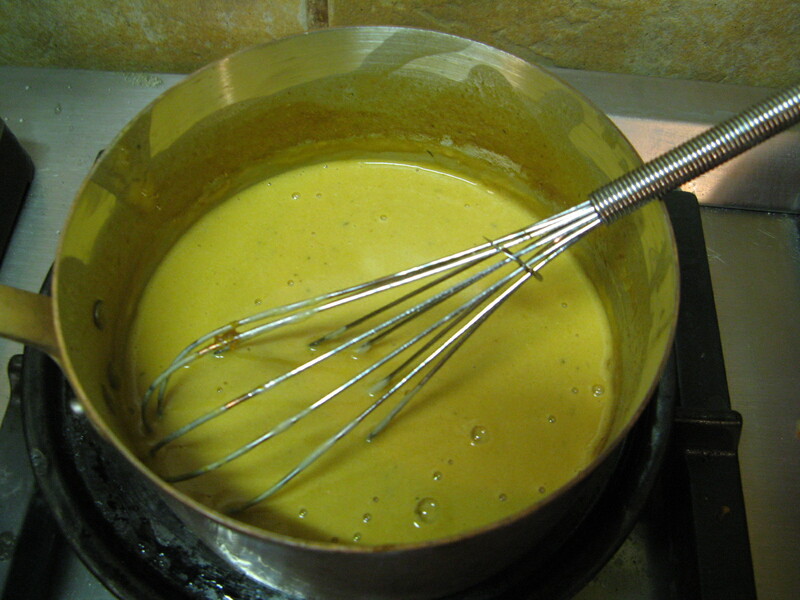 Add the 2 spoonful of the remaining passion fruit juice, a little at a time to the egg yolk mix, whisking it in as you go. 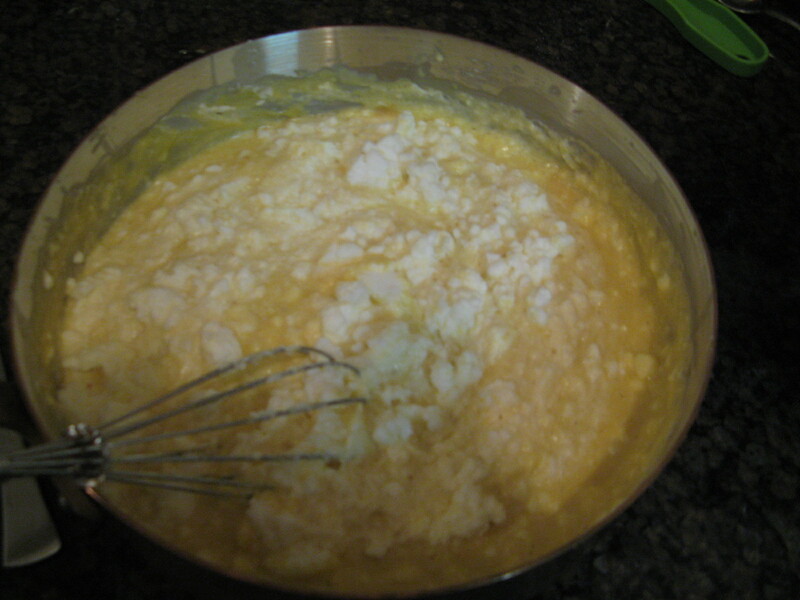 Fold 1/3 of the whisked egg white into the mixture than daa the rest and fold with a spatula. Leave Islands of egg whites whisk. Fold gently, trying to keep the mix the light. Continue drizzling the rest of the juice into the mix as you fold. It should have a strong smell and taste of passion fruit. 5. Fill each bowl, and bake in a pre-heated, 190°C oven for somewhere around 15 minutes . Dust with caster sugar and serve immedeiately. 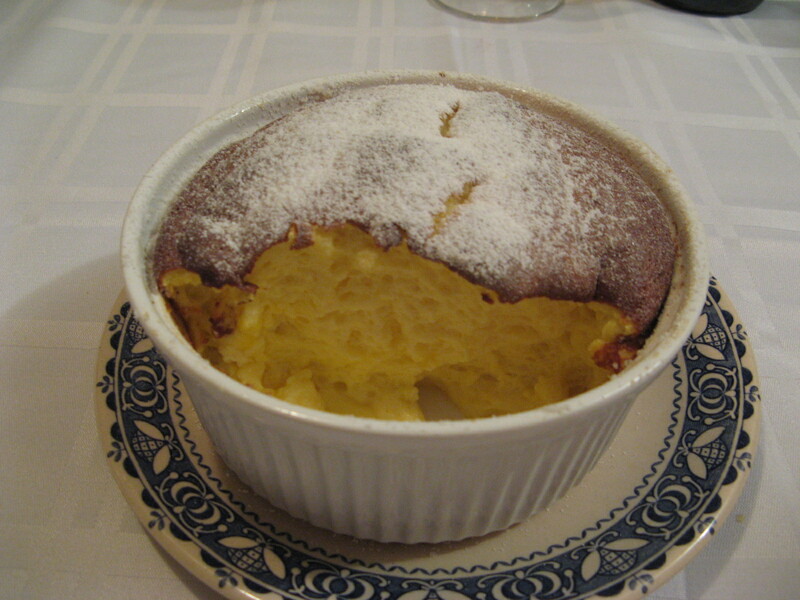 The souffle should be firm on the outside, soft and creamy and just warm in the middle. The top should be raised above the rim and brownish in colour. Girardet’s souffle turns out so light because it is basically air, held together by sugar, egg yolks and whites flavoured by passionfruit juice, NO FLOUR!!! 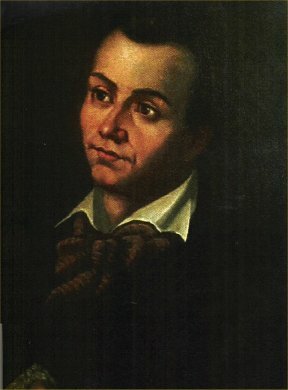 Marie Antonin Carême (1783-1833), often called the father of French “Grande Cuisine” and known as “The King of chefs and the chef of Kings” was not the inventor of the soufflé. He was certainly one of the best and the most inventive pastry chefs of all times and was one of the first to publish a detailed recipe for soufflé. To Carême the soufflé was “la reine de la pâtisserie chaude, ancienne et moderne” (the queen of hot pastry, ancient or modern). In his days soufflés were baked in a pastry case, called a croustade prepared in the “Pâtisserie de la rue de la Paix”, his Parisian pastry shop. “After picking over a large basket of good strawberries and fruit, crush them. Strain them to a purée through a fine-meshed sieve. Temper with one and a half pound of powdered sugar, than fold with eighteen stiffly beaten egg whites. When everything is well mixed, you mix in the strawberry purée until it is perfectly absorbed. Pour the preparation in a pastry crust as usual and bake. You can proceed in this manner to make soufflé with raspberries, red currants, or any other pureed fruit“. About Marie Antonin Carême, and his amazing unique 127 dish The Regency Banquet – 18 January 1817 at The Royal Pavilion, Brighton Staged by the prince regent for the state visit of Grand Duke Nicholas of Russia on one of my next Post. Till then, lift you spirits, rise over your own little ramekin rim and stay warm. A wonderful explanation. A coconut soufflé is wonderful. Hands off, my 330,000,000 wine bottles!! !